It's A Fancy Pants Christmas! I've been working on a class showcasing Stampin' Up! 's Blendabilities markers. I have to confess to being a little intimidated by them initially! I have watched a multitude of videos to learn how to use them so I can share them with my customers. 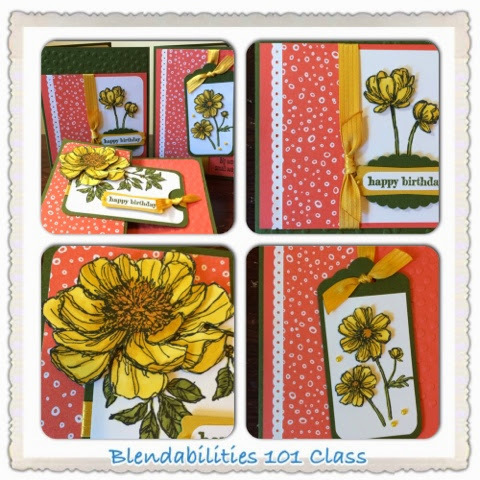 This class consists of three projects and your own pack of the Daffodil Delight markers.